This was my first time flying with ANA, and I was absolutely not disappointed. Everything went very well. Departure was punctual, and we even landed slightly early (which is always a good surprise). The flight was quiet, and I enjoyed the meals (dinner, a snack in the middle of the night, then a hearty breakfast). I also liked being able to pass the time by watching a movie on the screen available in front of my seat. A very good flight that passed quickly! 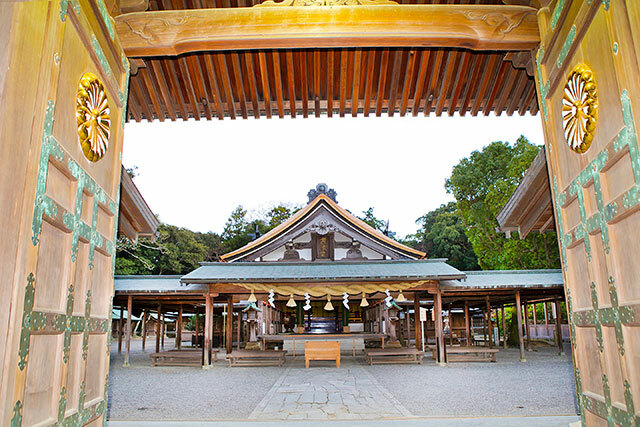 The shrine attracts the greatest number of worshippers every year during hatsumode" over the New Year period." 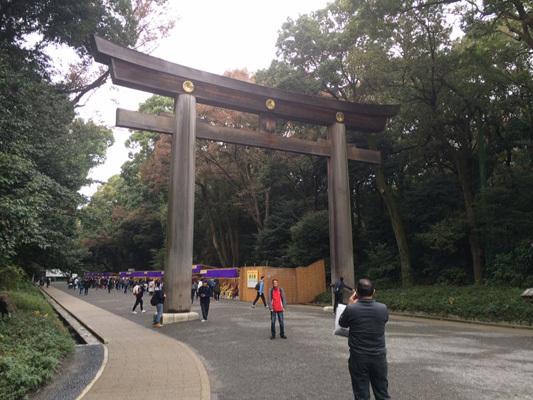 We began our Japanese journey in Tokyo, near Harajuku, with a visit to the Meiji Jingu Shrine. 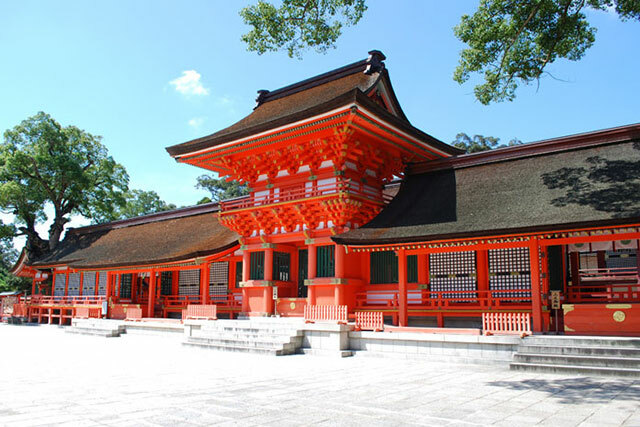 Did you know that the Torii in this sanctuary are made of natural wood and not painted orange, because the emperor and his wife aspired to a simple life far from any extravagance? A beautiful exhibition of chrysanthemums blossomed in the alleys leading to the sanctuary, so the walk was very pleasant. 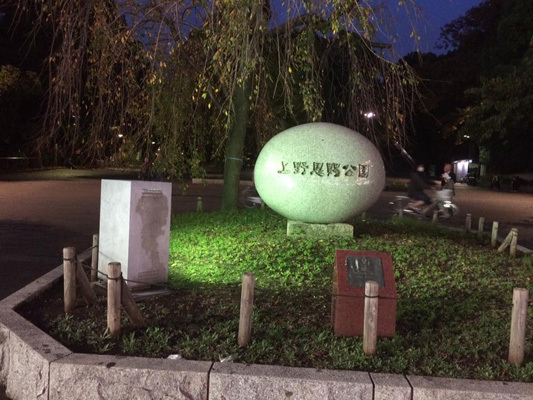 Feel free to go for a walk in nearby Yoyogi Park! After removing our shoes, we settled in a small private room, very quiet and intimate. 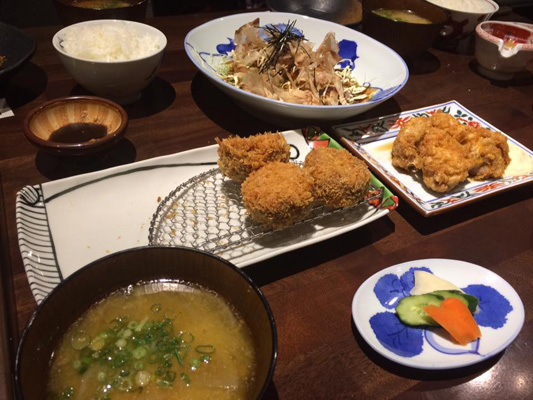 We enjoyed the meal of tempura, rice and miso soup, and I discovered other delicious little dishes. 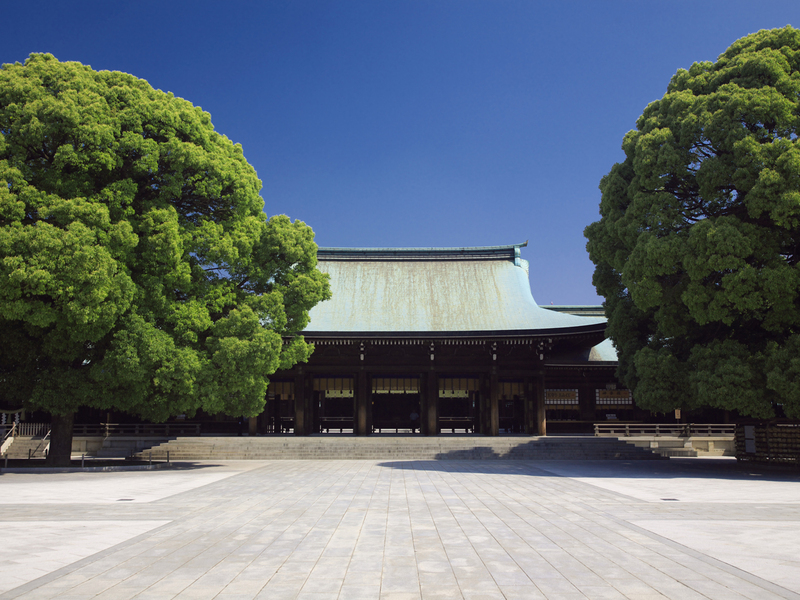 ☆Meiji Jingu shrine is a very nice place where I love to go when I receive friends or family. 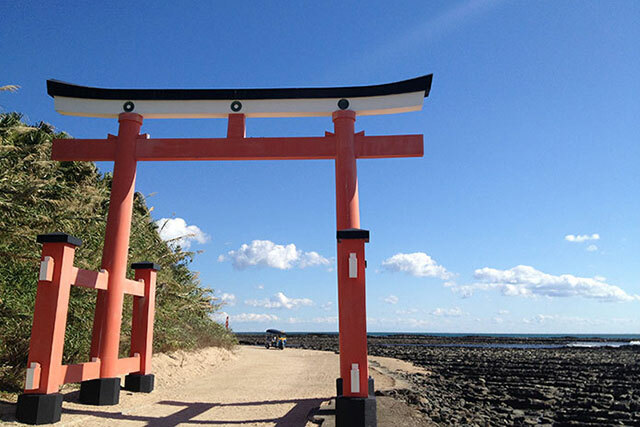 The giant torii, the forest, the special atmosphere, the shrine, everything is nice. Being guided by a priest was also very interesting and he could show us and tell us some interesting facts and things, like the exact way to purify our hands and mouth before entering the sacred place. Takeshita Dori just after was also amazing, not for the same reason, but very unique. We had anago tempura and soba at "Kamakura Matsubara An" in Harajuku. I enjoyed the tempura, the Nagano soba, the taro and the duck very much. 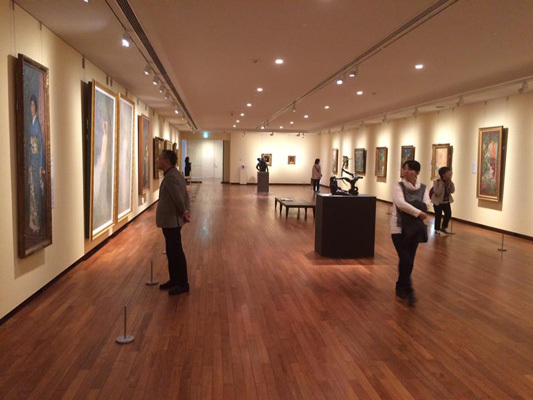 The National Museum of Western Art, opened in Tokyo in 1959, has recently been declared a UNESCO World Heritage Site. 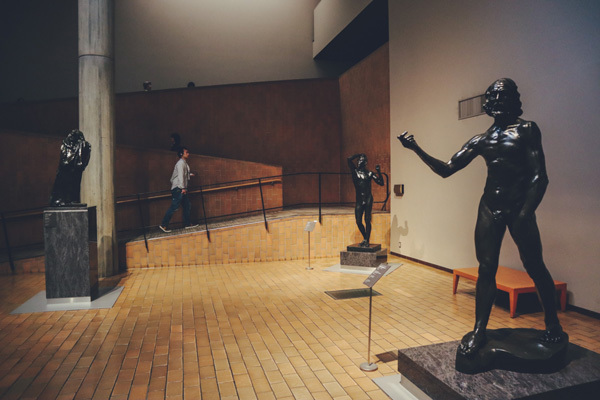 The reason why becomes clear during the visit: it was designed by the French architect Le Corbusier, and it enhances the works in the permanent collections and temporary exhibitions on display. I enjoyed discovering works from the medieval period, as well as more modern paintings by Picasso or Claude Monet for example. If you like Western art, don't miss this visit. 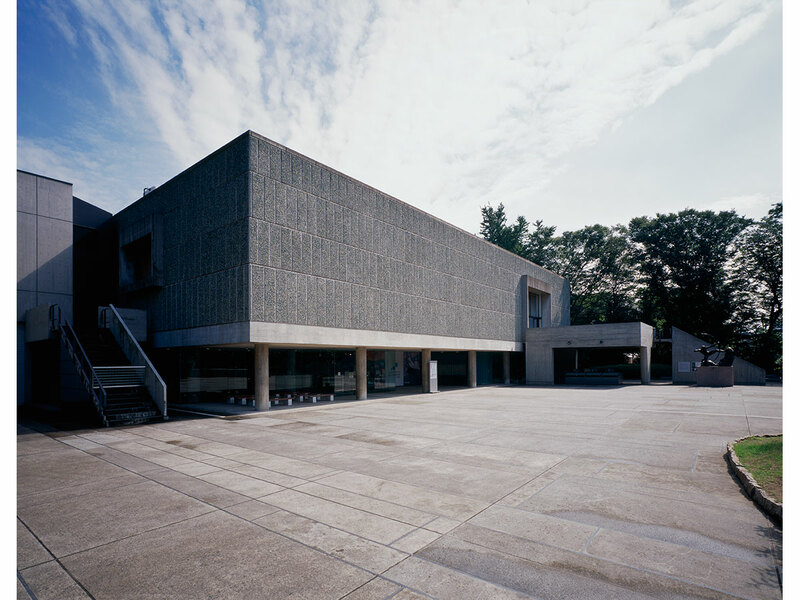 The museum designed by Le Corbusier is very nice, its architecture very special and the pieces of art inside very impressive. I took dozens of pictures and will enjoy to see them again. We learned a lot of interesting facts thanks to our guide, about the construction (lines on the floor that leads to the Tokyo Bunka Kaikan for example) and the collection owned by the museum. Very interesting visit for people who are interested in art. A shopping street full of life now and in the old days, in addition to fresh food and candy, it also has shops offering clothes, shoes, bags, and even cosmetics. 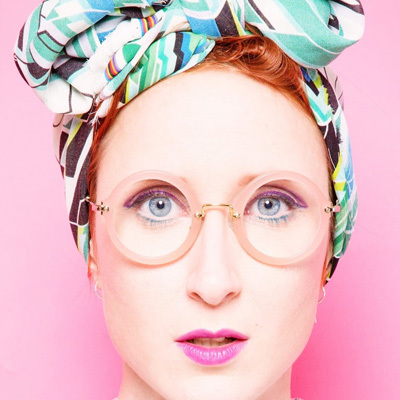 The good-humored vendors of each shop are firm supporters of face-to-face interaction. The area is always lively with vendors calling out to potential customers. 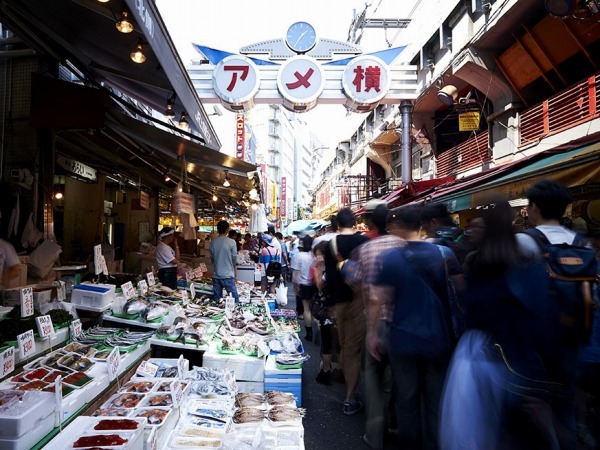 While it is famous for fish and crabs, apart from grocers, there are countless shops that carry shoes, clothing, and even international knick-knacks. It is very simple: here you will find any street food you can dream of! 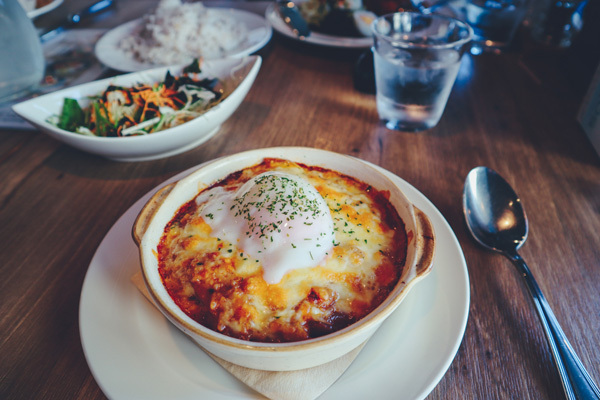 Don't look for a chic restaurant, the atmosphere is more like small shops serving a quick meal. Fish, condiments, fruits and vegetables, but also clothing and fashion accessories... be ready to be tempted! 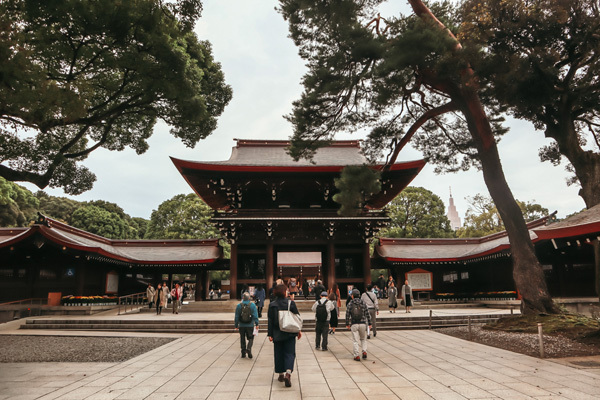 Ueno Park: During the day, go admire the swan-shaped pedal boats on the large lake, or visit the various shrines scattered here and there in the park. There is even a large zoo in this park, known particularly for its pandas! At night, they are nicely illuminated and give the park a completely different atmosphere. The meal at Misogura Tamayura was delicious... and gargantuan! 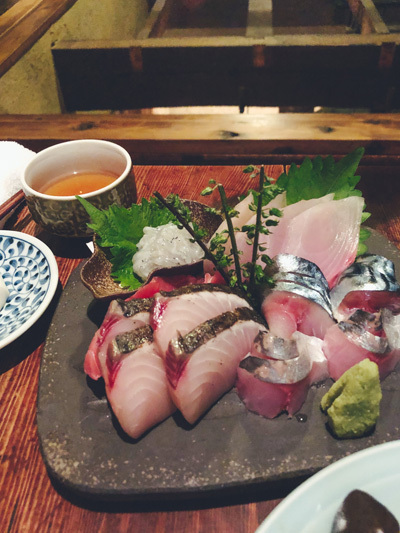 Sashimi, tempura, miso, pork broth and some culinary discoveries for me (like marinated oysters or cod liver), everything was delicious! I like it for its atmosphere very special and all the nice things we can find. 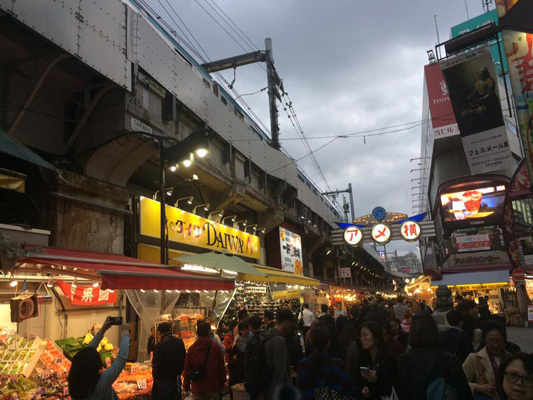 It's a place I usually recommend for my friends and family who visit Tokyo because it's interesting just to see, buy various food, see Japanese life and I will do it more. I love especially the galleries there are under the rails. Ueno Park is one of my favorite place in Tokyo. I like everything in this park, especially the atmosphere, and I come sometimes for Hanami. The diner in the restaurant "Tamayura" was excellent. We arrived early and could appreciate the whole house. All the meal was very furnished and tasted very good. 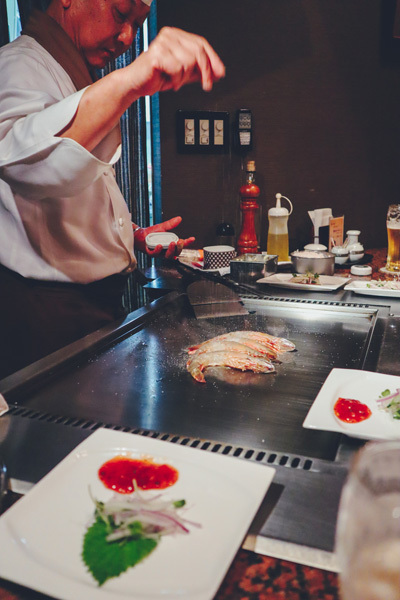 Remm Hibiya is perfectly located in the heart of Tokyo, in the chic Ginza district. It is 5 minutes walk from Hibiya station, so it is easy to get anywhere in Tokyo on the Yamanote Line or the subway. 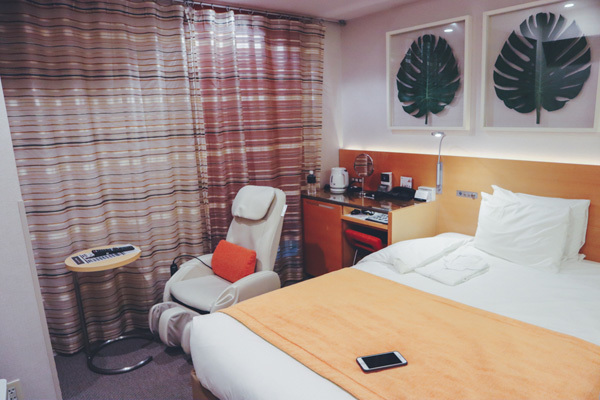 The room had all the necessary comforts, including a massage chair, which is always a plus after a long day of walking and sightseeing. 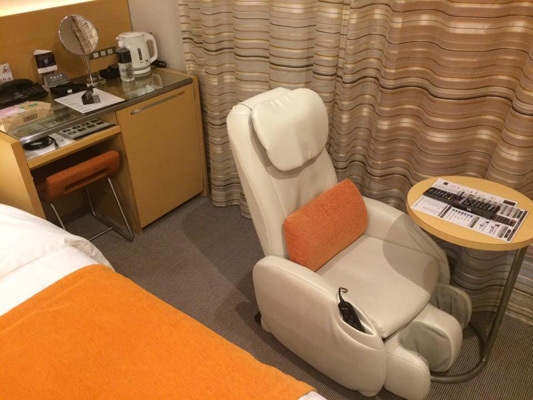 Remm Hibiya: I didn't try the massage chair as I always fear to do something wrong with the controller but it was great to find this equipment in the room. The decoration and the view from the window were very nice. It was just perfect ! 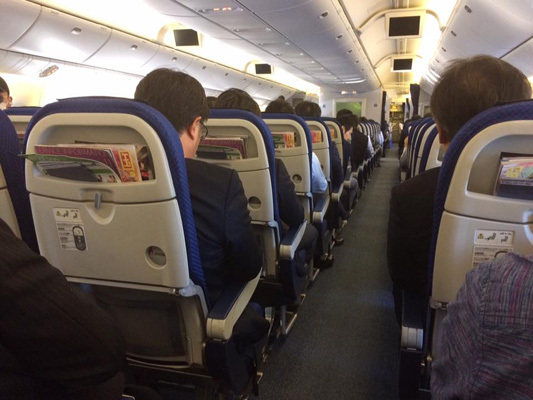 The Tokyo-Nagasaki internal flight went very well. Boarding was perfectly on time, and the flight went smoothly. The plane was clean and comfortable. We had a drink during the flight, even though it only lasted two hours. The comfort was much better in the plane that was not full. That was the first time I took ANA and I'm not disappointed and I recommend it of course. The quality of Japanese flight attendants was very good on board as expected, with a nice service in English and a constant smile. 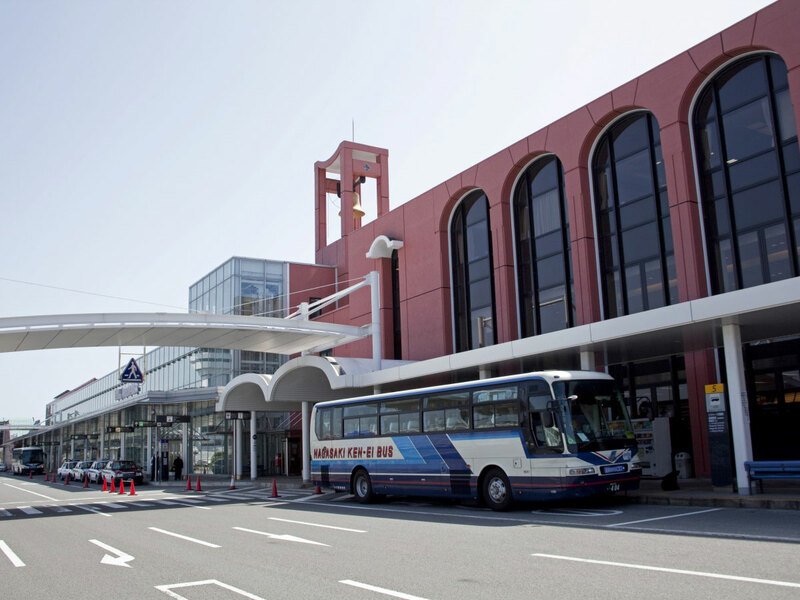 Nagasaki Airport is an international airport with regular flights to Shanghai and Seoul. 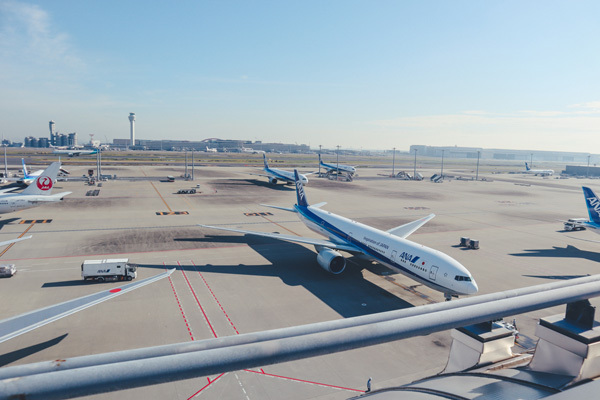 It was the first airport in the world to be built in the ocean from reclaimed land. The tourist information desk on the first floor provides information covering the entire prefecture of Nagasaki. We had lunch in Branch Otto-Dejima. As Christmas approached, the place was particularly cozy, with light garlands and blankets on the wooden armchairs. A little Scandinavian side rather surprising in Japan! I tried a Nagasaki speciality, "Turkey rice," at the Branch OTTO Dejima restaurant. 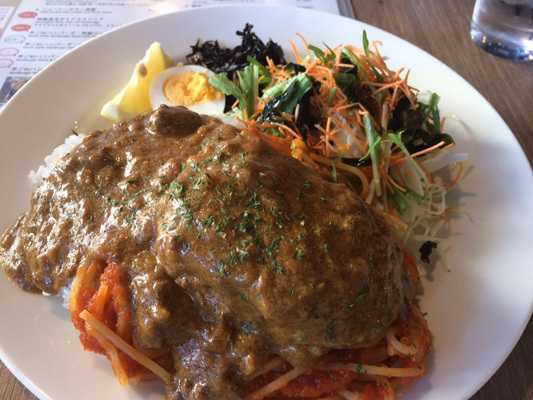 It was an excellent dish, having hamburger and pasta on rice with curry on top, which is now one of my favorite Japanese dishes! 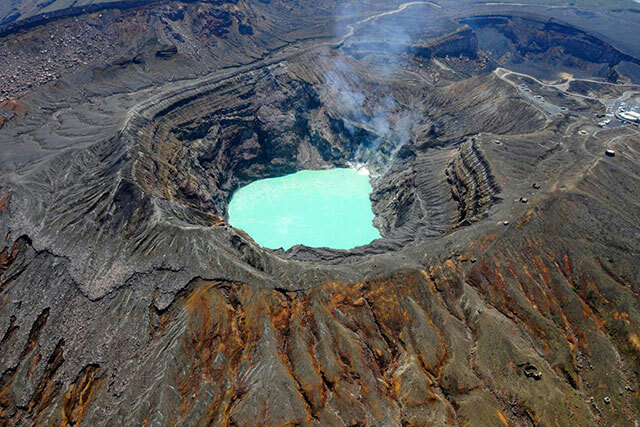 This island was once site of an undersea coal mine. 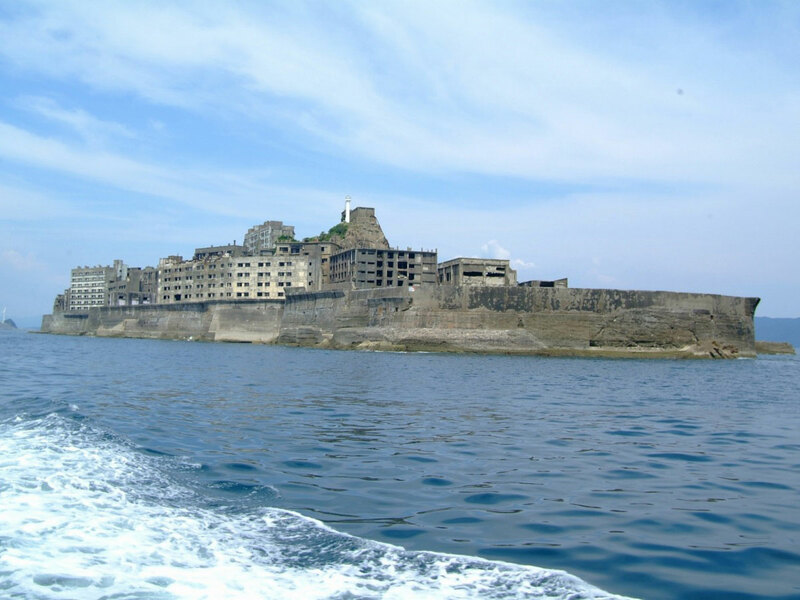 It is also known as Gunkanjima (battleship Island) because the sight of island’s high standing walls of steel reinforced concrete appears like a battleship. At the height of mine production in 1960, some 5,300 people lived on the island. Coal from the mine supported Japan’s modernization, but the mine closed in 1974 after Japan switched its main form of energy to petroleum. Today the island is uninhabited. 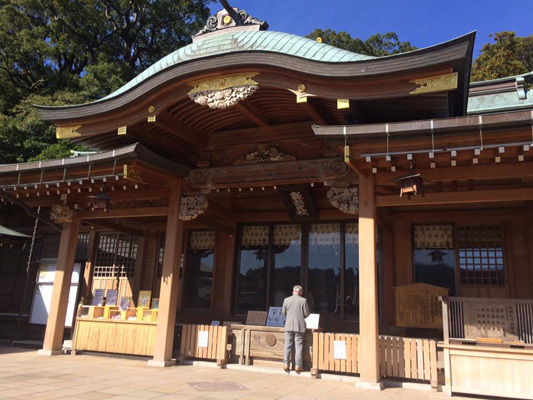 In 2015, it was inscribed on the UNESCO World Heritage Site list as part of Sites of Japan’s Meiji Industrial Revolution: Iron and Steel, Shipbuilding and Coal Mining. It also featured in the movie Skyfall. 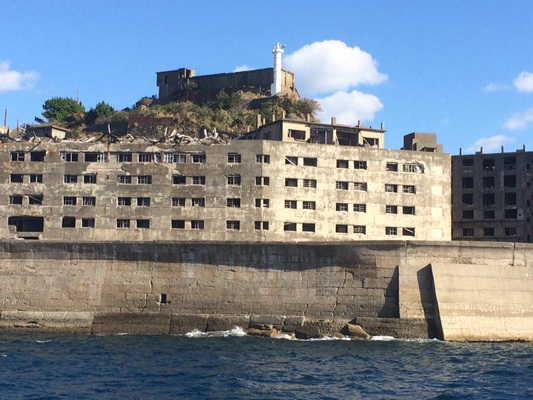 I was fascinated by the discovery of Gunkanjima (which translates as "Battleship Island"), recently listed as a UNESCO World Heritage Site. It was not possible for us to dock on the island, unsafe after a recent typhoon, but we approached it by boat, and seeing this uninhabited island so close was very impressive. 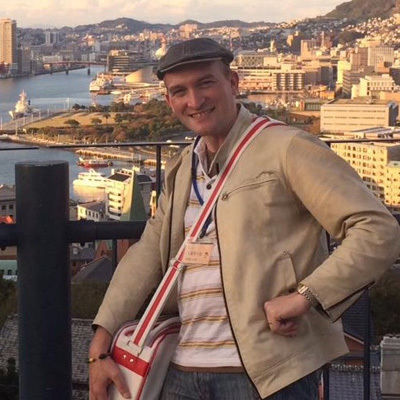 The visit to the Gunkanjima Museum completes this short cruise perfectly. 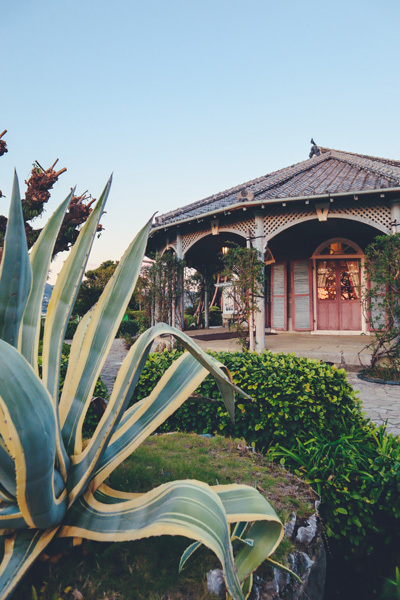 You will have the opportunity to learn much more about life on the island in its prosperous years, and you will be able to listen to the stories of an islander who was a child when it was inhabited. 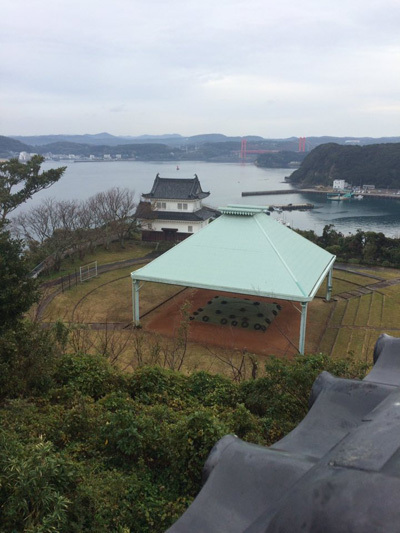 Japan's Meiji Industrial Revolution: The Mitsubishi crane, Japan's first electrically powered crane, the Mitsubishi shipyard, which actively participated in Japan's industrial development during the Meiji era, and the Glover House and its garden overlooking Nagasaki Bay, are UNESCO listed monuments that are worth a visit! We tasted wagyu beef from Nagasaki in Keiten, which was a real delight. The other dishes were all up to the standard of the beef. Crunchy little vegetables, well seasoned rice, fish... everything was fine, delicate, simply great cuisine, all without any fuss! It was not a visit to be precise but a tour around the island as we can't go on it since the last typhoon that damaged the landing stage. I knew part of its story but being close to a place like this is very fascinating. At the Gunkanjima Museum, I immersed myself in VR activities. I also met a guy who had been born on the island, and had lived there many years ago. That was truly amazing! A must to see ! 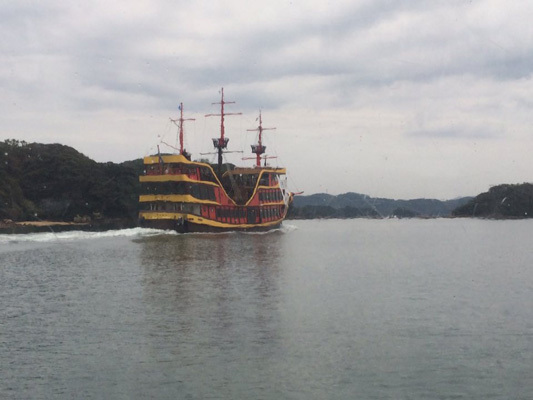 On the boat going to Gunkanjima, we could see a lot of sites or equipment that were part of the Meiji Industrial Revolution and now in the UNESCO list. This is huge and impressive, really interesting to see. The Glover House was an amazing site, the park, the houses, the gardens, the view over the port. 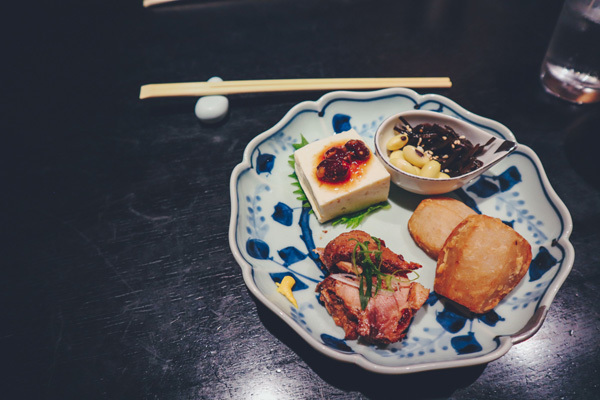 I really wanted to try the Nagasaki specialities that I didn't know and the first dinner we had with our guides was excellent. The location first was amazing. 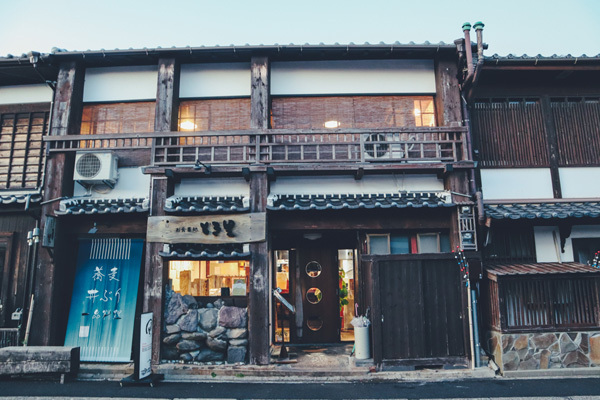 Very close to Dejima, a place that I would like to visit for my next stay in Nagasaki, and with an incredible chef who cooks in front of us in a private room, the moment was great and very special. And the dinner, with shrimps and the Nagasaki beef, was fantastic. A unique moment ! 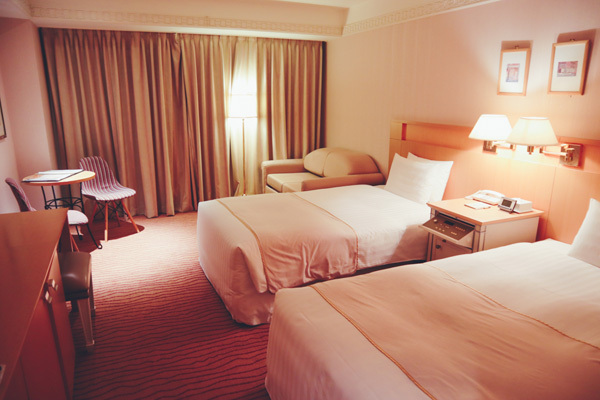 The entrance hall is luxurious and spacious and sets the tone: my room was large, with 2 beds and a beautiful bathroom. I loved ebing able to enjoy a good bath, and the toiletries, including the face mask and bubble bath, were very helpful. 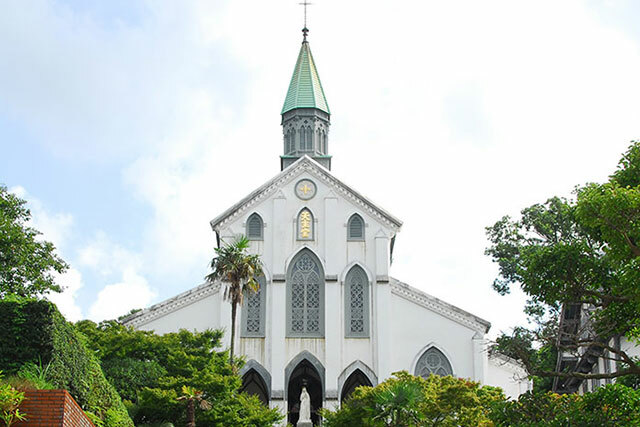 The Oura Cathedral is the oldest church in Japan and the first and only Minor Basilica in Japan. French missionary Furet designed the church, while French Bishop Petitjean served as its first Catholic priest. Construction was supervised by Koyama Hidenoshin. The church was completed at the end of 1864 and officially opened in February the following year. 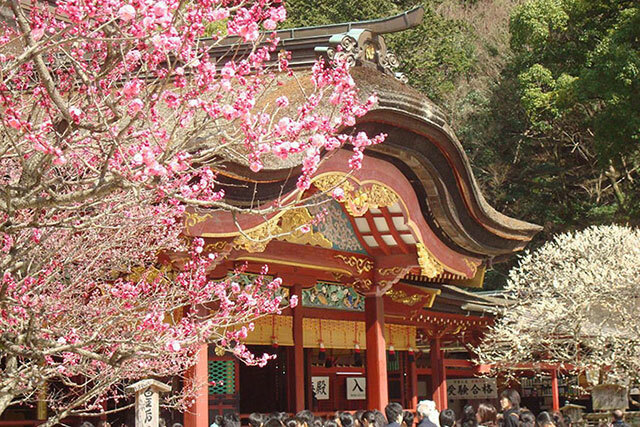 In March 1865, the hidden Christians of Urakami visited and proclaimed their belief. After 250 years of harsh persecution. 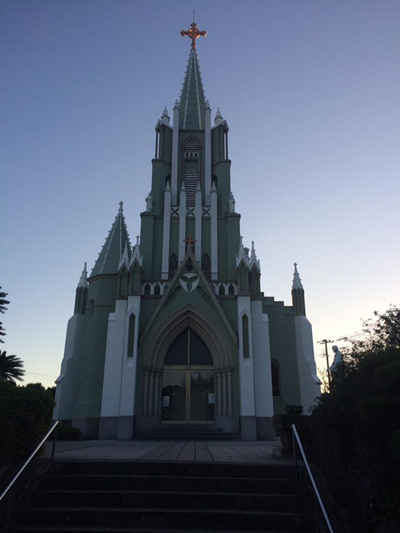 The church was designated as a national treasure in 1933, but was partly damaged in the atomic bombing of World War II. 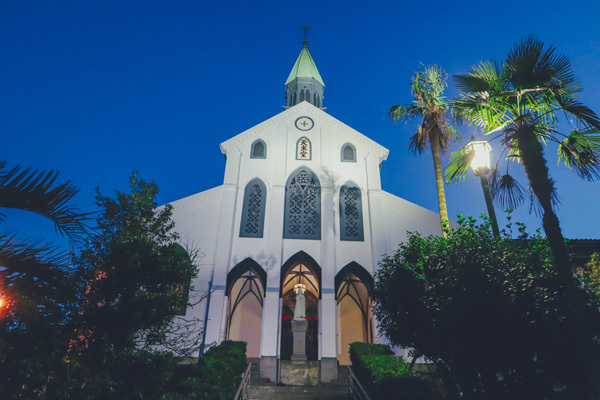 In 1953, it was once again designated as a national treasure for being the oldest existing church in Japan. The church has been inscribed on the list of the UNESCO’s World Cultural Heritage in 2018. 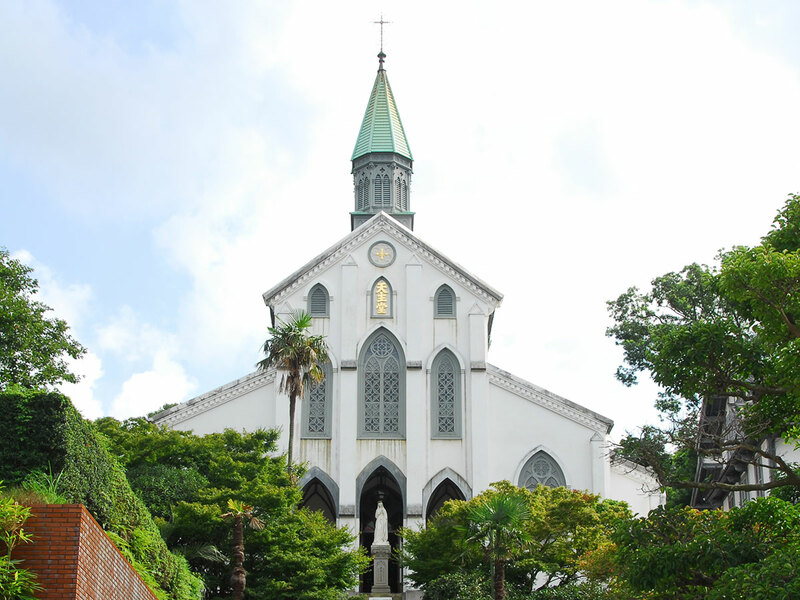 The Church of Oura (or "Basilica of the 26 Martyrs"), listed as a UNESCO World Heritage Site alongside the hidden Christian sites of the Nagasaki region, is considered the oldest existing Catholic church in Japan. 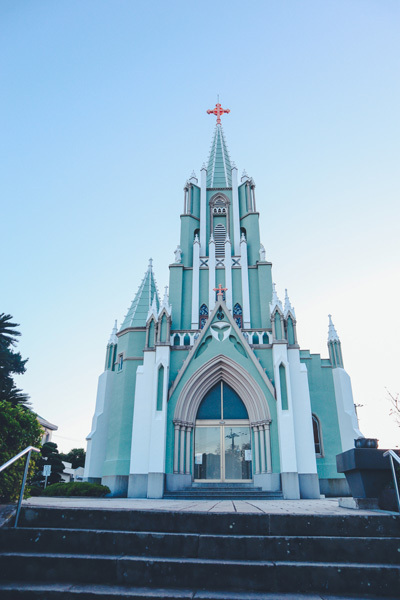 At that time in Japan, Christians could not exercise their faith freely, but the construction of the Church of Oura marks the beginning of a new era for them. The building is in Western style, and the stained glass windows were brought from France. In the church, there is a statue of the Virgin Mary dating back more than a century. It was an emotional moment for me when we visited Peace Park and the Atomic Bomb Museum. The city is peaceful today, but it still bears the remains of this tragedy. 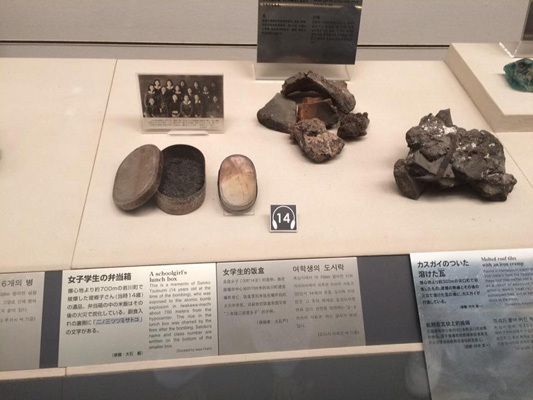 Above all, I was very impressed by the museum, which traces the sequence of events before and after the dropping of the atomic bomb. 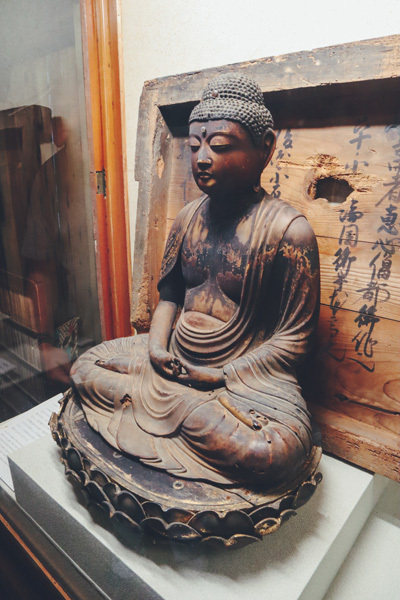 Some parts of the museum were very difficult for me to bear, because the emotion is great, but this visit seems absolutely essential to me if you are in Nagasaki. You need to climb 277 steps to get there, but it is worth it as from up there the view of the city is magnificent! 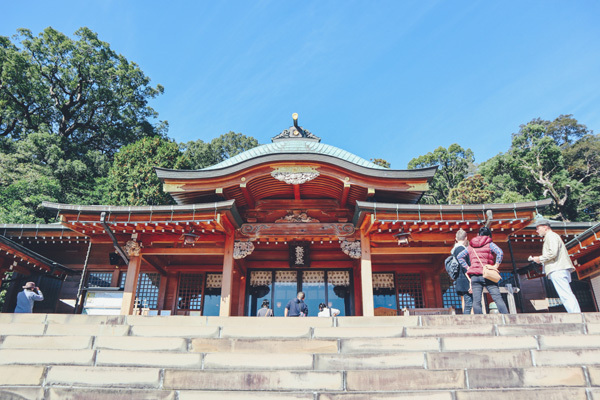 It hosts the Kunchi Festival every October, one of Japan's largest gatherings, and is packed with people for the New Year. We had lunch at Hikari no Restaurant, located at the very top of the observatory, on Inasayama Mountain. 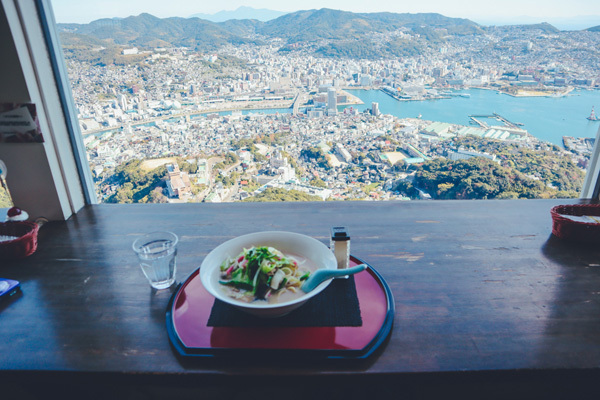 What a pleasure to have lunch while contemplating this incredible view of Nagasaki! You can see the whole bay, and as the weather was sunny that day, it was a real pleasure for the eyes! Fusion of oriental and French architecture. The guides could tell us more and show us the Oura Cathedral. I don't go very often in churches in Tokyo and being inside this beautiful cathedral was something precious to me, and to finish with the statue of Marie that is so important for Christians of Nagasaki. Great place to see and visit, even for those who are not Christian ! 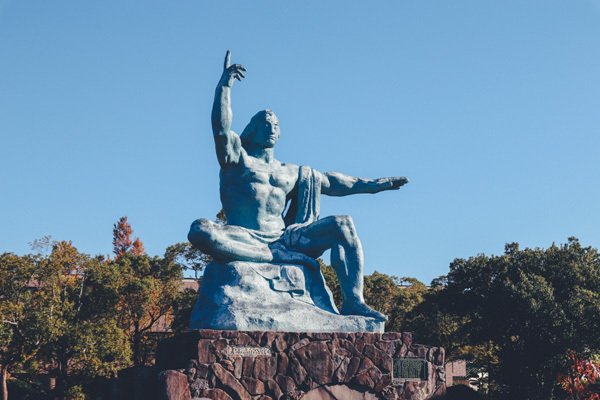 Nagasaki atomic bomb memorials : a very precious moment and a place not to miss when we visit Nagasaki, for memories and knowledge ! The place was crowded by a lot of tourists and students on tour. We learn a lot about this tragic event. 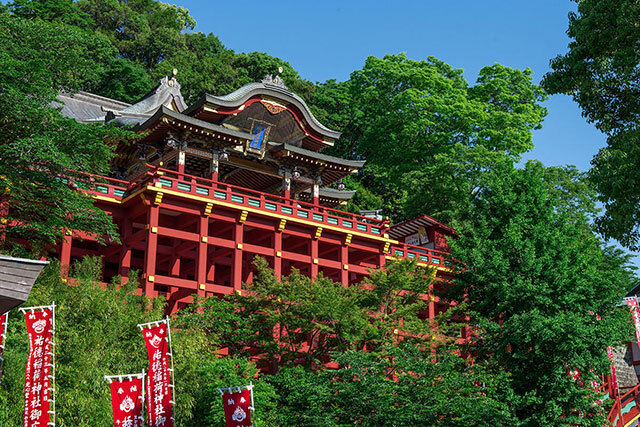 The Suwa Shrine, just after, is an amazing place, very high on the hills. I was told that the fall festival “Nagasaki Kunchi” is one of three large festivals in Japan, and that it is so gorgeous and exotic. I would like to experience it next time. 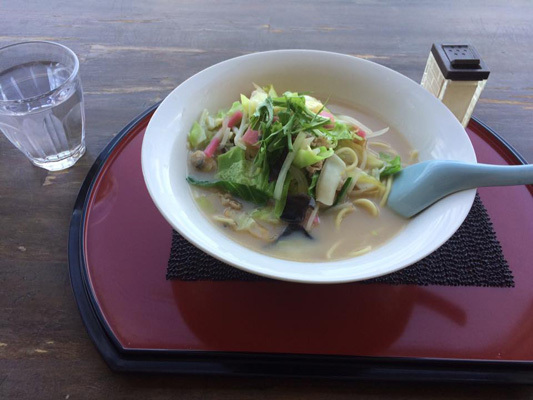 At the observatory on the top of the Mount Inasa, eating the speciality of Nagasiki, "champon" that I really liked, at this place with such a great view was an other great moment. 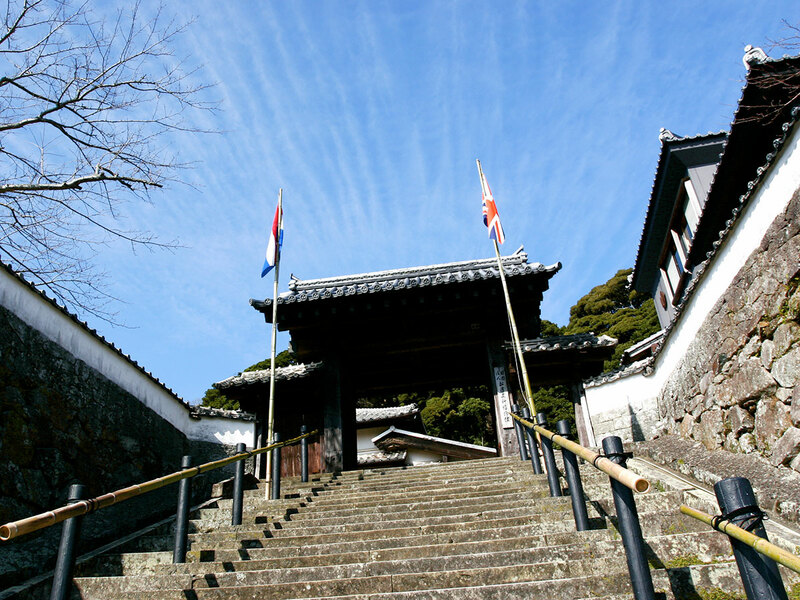 The Matsura Historical Museum, founded in 1955 in Hirado, is the oldest museum in Nagasaki. It is very popular with schoolchildren, but you will also love its treasures, even if you are not a pupil! 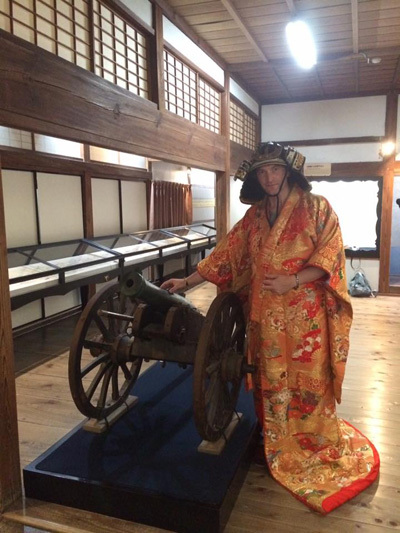 A fun added bonus: you can put on a traditional kimono or samurai armor to go through the different rooms. It's quite rare to have the opportunity to do it, so I was very happy to try my first kimono! I was thrilled to finally be able to participate in a tea ceremony, because I had been dreaming of it for years! But this kind of ceremony usually takes a long time, as the tradition involves many very long rituals. Here at the Chinshin School of Tea Ceremony, the ceremony is adapted and modern. 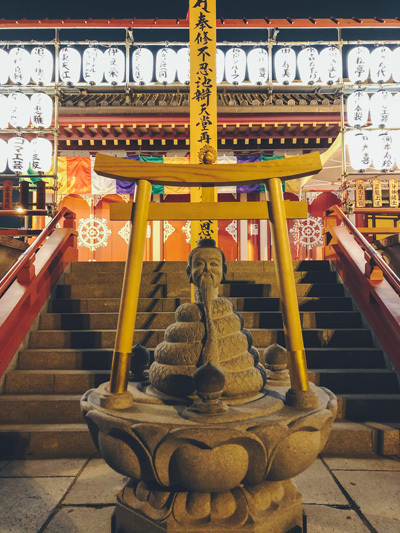 Everywhere in Nagasaki you can find a temple, a shrine, a torii, or a moving relic from 1945. Walk around the city, you will see many Christian symbols. Hirado is a splendid city! First, I was challenged by its huge red bridge, strongly reminiscent of the Golden Gate of San Francisco. Then, I enjoyed walking around the city, with low houses and wooden fronts, which give a very traditional atmosphere. 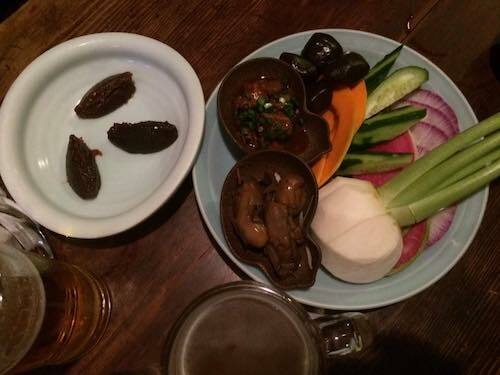 This cultural mix makes Hirado unique and charming! 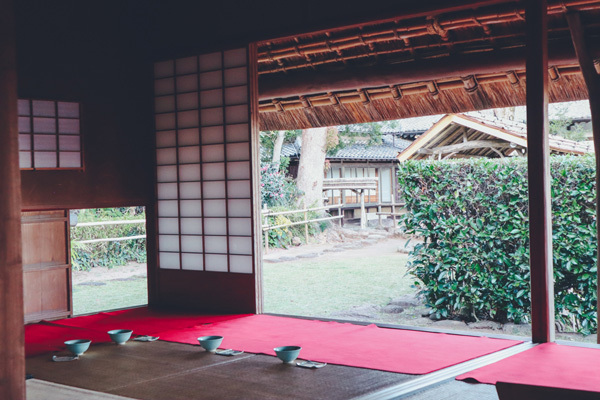 Tokisato Hirado is in the traditional style, and the front is as pretty as the interior decoration. I preferred the dish in the okonomiyaki style, a real delight. We shared the food, and we stayed there for a long time. 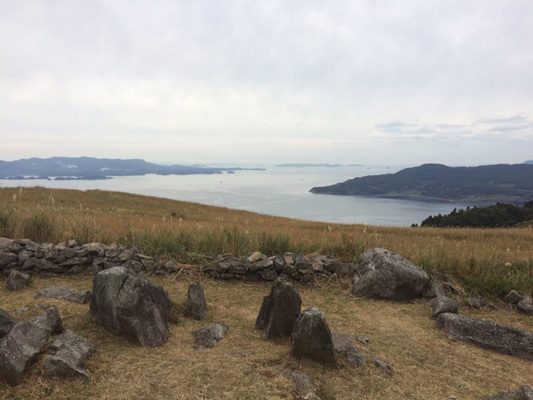 W reached Hirado and enjoy a beautiful museum on the top of a hill. The visit was very interesting and we could see some nice old maps, samurai armors , nice pieces of art and really important Japanese treasures. I like the old things like this, and I enjoyed everything, especially the old shogi ban because I'm a shogi player. I could also try a samurai helmet and nice kimono for nice pictures! 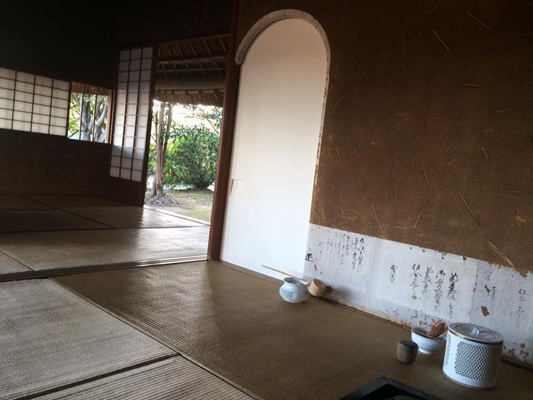 Chinshin School of Tea Ceremony : the tea ceremony in an old and adorable tea house. Even if I'm not a tea lover, I appreciated this one. 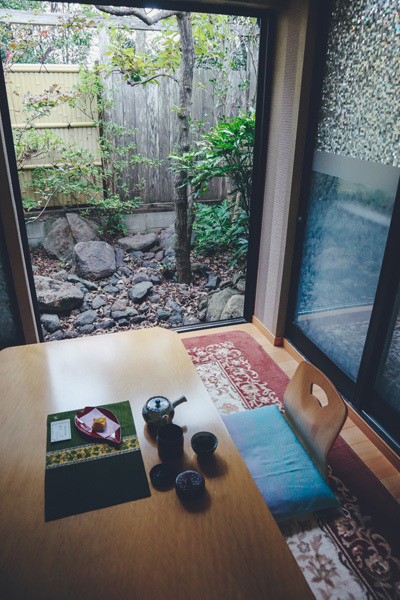 The Japanese lady who served us was very kind, and even showed us how she opened and closed the windows of the house every day, in a traditional way. That was an other very precious moment ! The green church, « the Saint Francis Xavier Memorial » was just magnificent. The sun was about to leave at this moment, that gave a unique atmosphere. I never saw a catholic church like this before and am very happy to have the chance to know it now ! Downtown Hirado: The foot bath, the Dutch wall, the view of the castle and the red bridge, the wharf, the 1639 warehouse (replica), the main old street and its preserved house, the Saint Francis Xavier Memorial Church with lights–it was a very interesting place in which we could feel the beauty of Nagasaki prefecture. "Tokisato" is a beautiful place where we had chicken with a special sauce (chicken namban). The soup and all the other dishes, like the gobo, were excellent and we had a real good time for this last dinner. 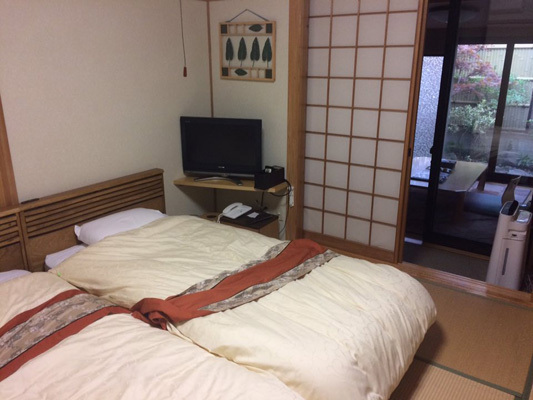 This hotel is actually a Ryokan, so a traditional Japanese inn, with tatami, Japanese breakfast and... a private onsen! 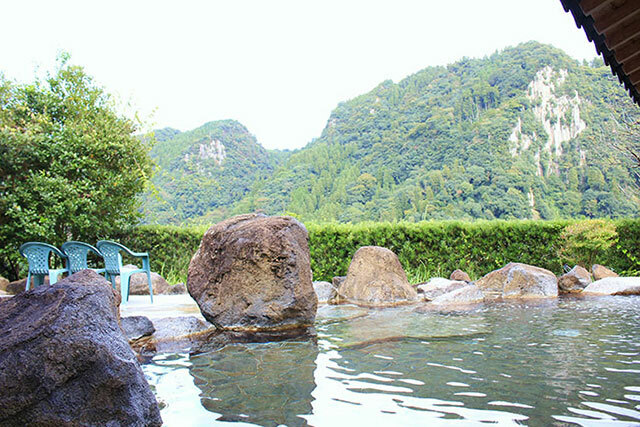 What a great pleasure to swim in Hirado's hot spring water! 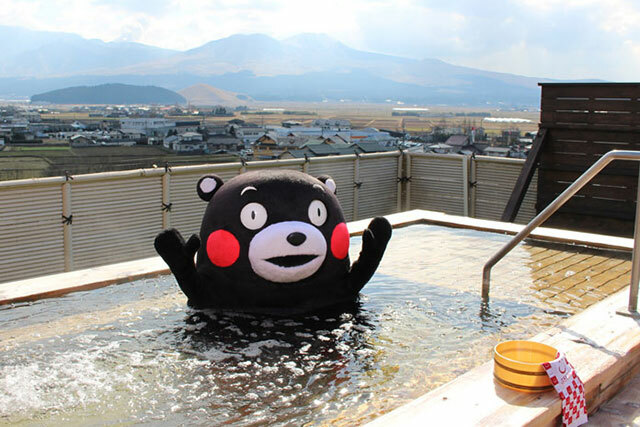 It's really relaxing, and it is an unforgettable experience! 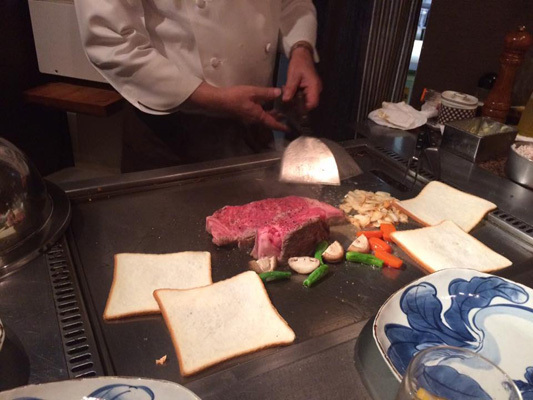 Ryotei Saigetsuan: The staff was so nice, speaking English to us . The room, gorgeous, with a private little room close to the garden and a special hot bath that I could enjoy at night and in the morning. And the breakfast was also amazing, with so many little dishes. 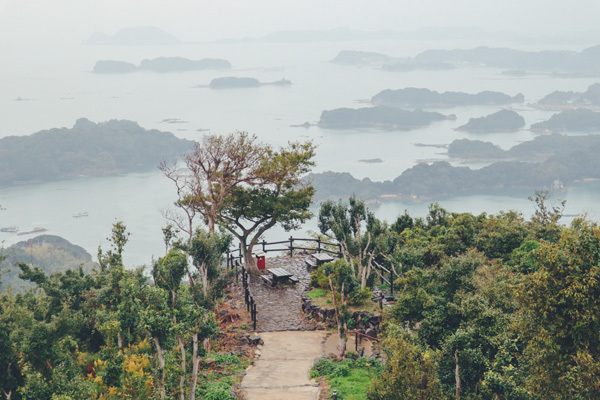 Kawauchi Pass: You have to climb a little to discover with delight a 360° view of Hirado, and more generally, Nagasaki Bay. It is well worth it! 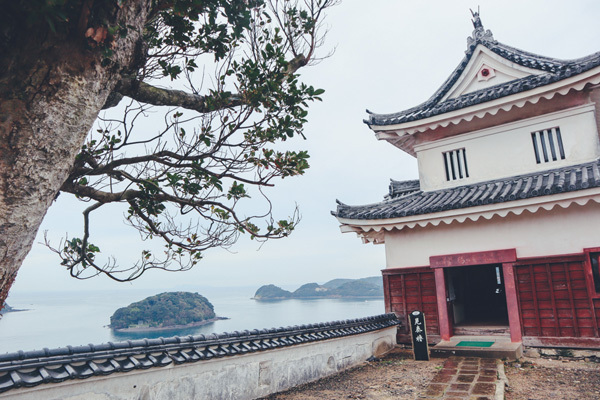 Hirado Castle is located on a hill near the sea. From its top floor, you have a very nice view of the bay. 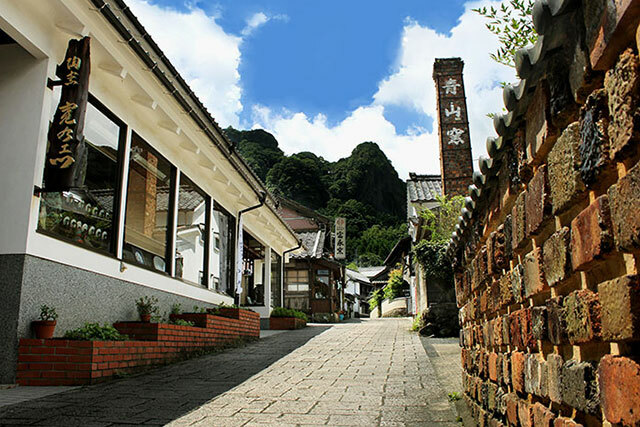 The intermediate levels are now a museum where objects from various periods found in Hirado are displayed. 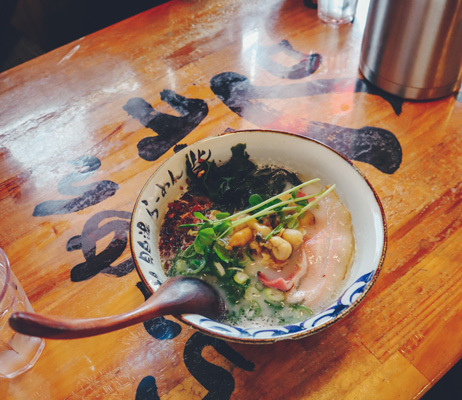 We had the pleasure of tasting a ramen and some gyozas at Ramen Toride in Sasebo. 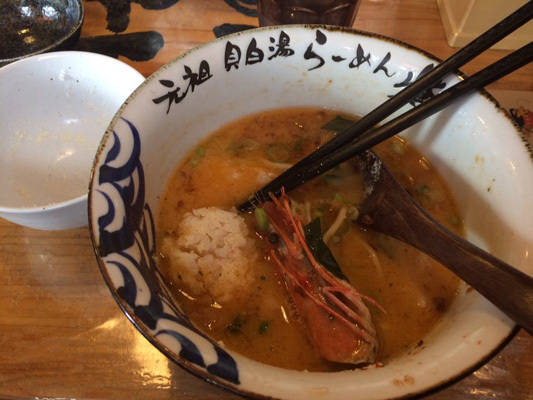 I took the simplest ramen, with pork and seafood, and it was very good. Kawauchi Pass. 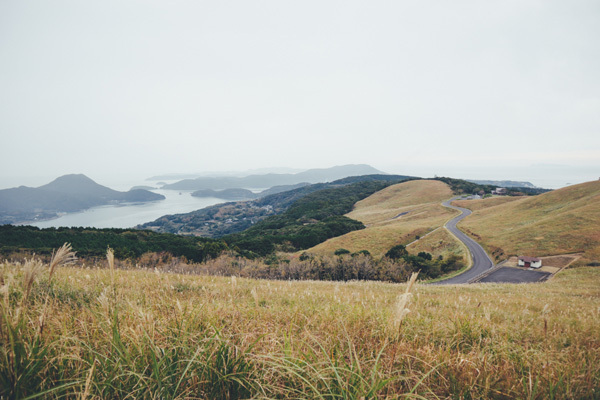 We went on the top of the hill to feel the special atmosphere of this part of Nagasaki prefecture, and the view over the bay is amazing. The rain started to fall at this moment but we could enjoy and see what we wanted to see. We went into this nice little ramenya in Sasebo called Ramentoride. I had shrimp ramen and at the end, for the first time, I had "ojiya," rice with a lot of cheese that we put in the soup, which was excellent. 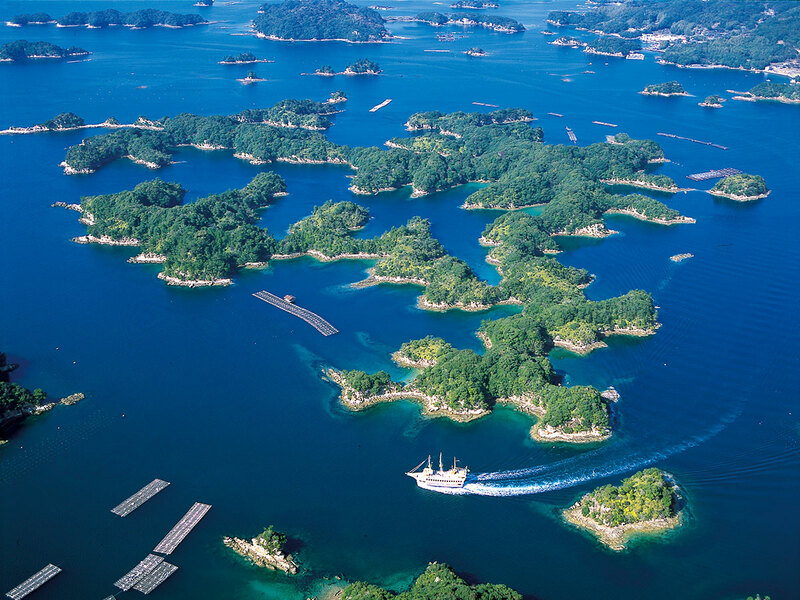 To discover the famous 99 islands of Sasebo (there are actually 208! ), what better way than a cruise? You can choose to approach them by kayak weather permitting, or even by pirate boat, for the more adventurous. Moreover, the latter allows you to admire a magnificent sunset... there is so much to see that I will come back, that's for sure! 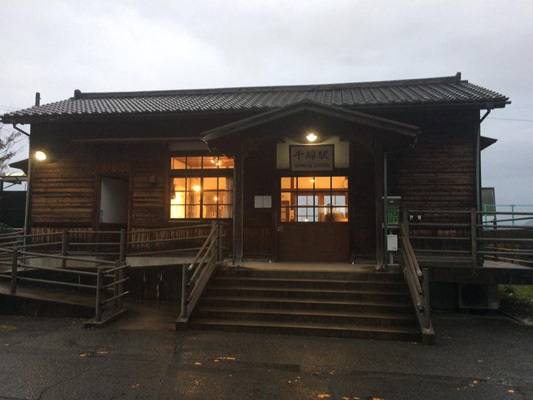 The Last Samurai filming location: It is essential to go up to the Ishitake Observatory! 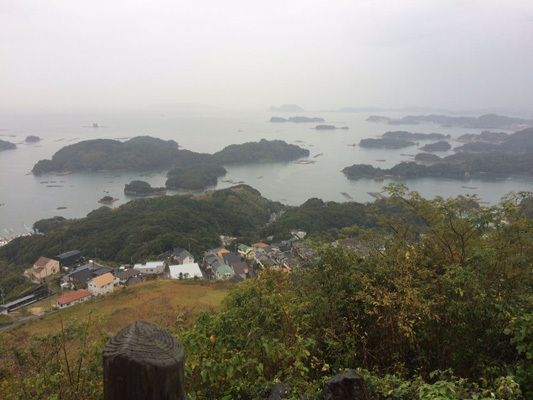 From there, you can see all the Hirado islands, and it is breathtaking. I particularly recommend that couples go there, it is so romantic! 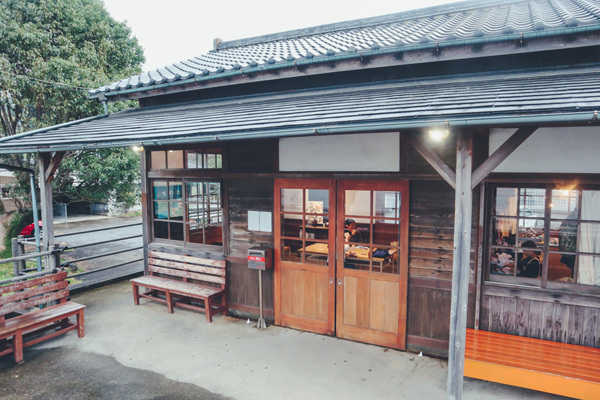 Chiwata Shokudo is a small café restaurant in a station that borders the sea very closely. The owners are very friendly so you can relax as if you were at home. It seems that locals come here to eat curry. 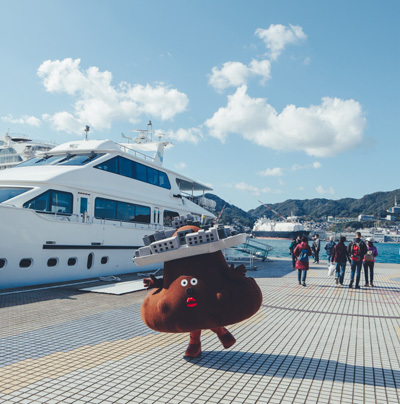 Kujukushima yacht sailing. After a passage on the wharf, we went to do a sailing around beautiful islands. Less than an hour, that was very quiet and nice. I'm sure that on a sunny day, the cruise would be greater. The staff was like always friendly and nice with us, and we could learn more thanks to the transaction. 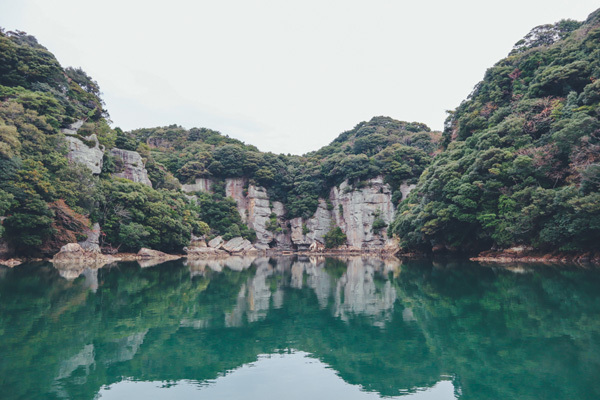 The whole place around Saikai National Park has a lot of activities and is an interesting touristic place ! 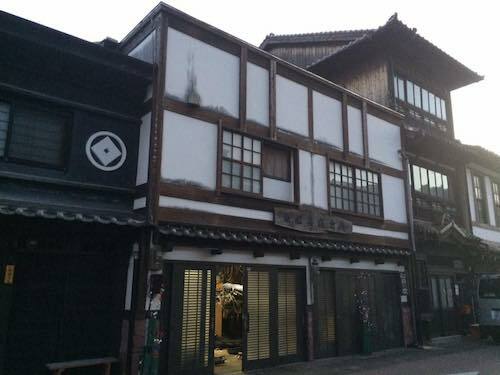 The Last Samurai filming location. I saw the movie long time ago and really want to see it again. But the view over the park and the islands is gorgeous. The last stop before reaching the airport was a small station close to the sea (Chiwata Station). The caramel milk I had there was very nice and the couple having this little snack was very nice, friendly and smiley. Very good atmosphere there and beautiful moment to finish those 3 days in Nagasaki Prefecture ! I had not been there for a year, so I was delighted to be back in this country I love so much. I appreciated the contrasts offered by this stay. 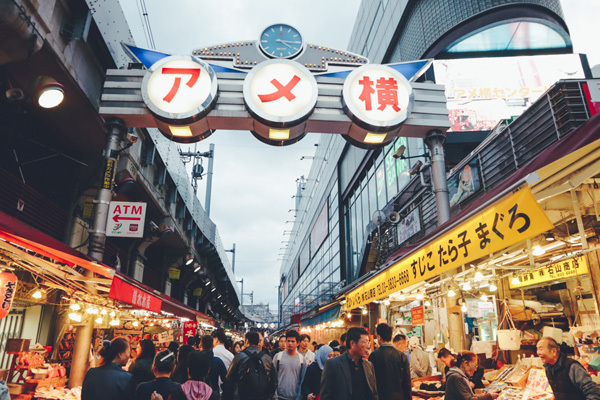 First, rediscovering Tokyo, its bubbling life, its neon lights, its beautiful madness. 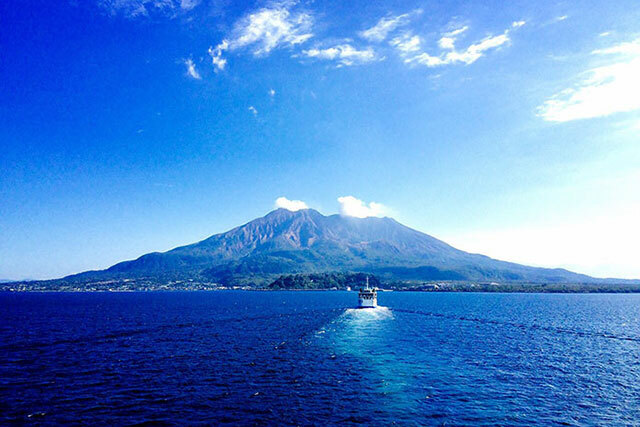 Then, only 1h30 flight away, Nagasaki, with its thousand treasures. I recommend its visit to all travelers in search of history, tradition, and culture. 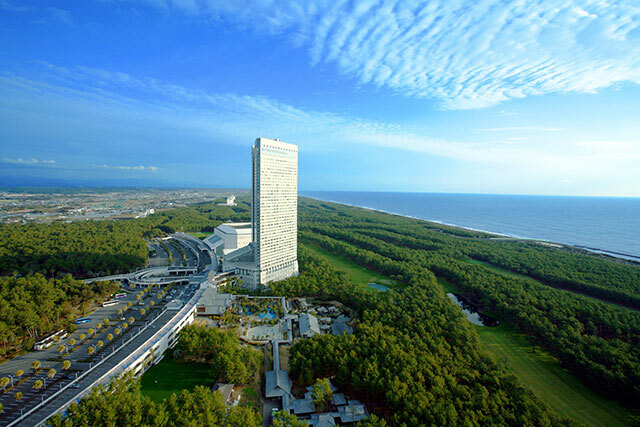 Nature is also very beautiful, with unforgettable views of the sea from the hills. Come and discover it! Everything was nice. I don't have any other comments to make. Hotels and meals were also excellent ! Beautiful stay, thank you ! Tokyo is tough for me, even though I have already visited the city 4 times... without ever getting tired of it! 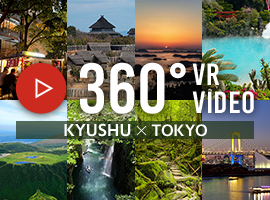 There is so much to see in Tokyo! Don't miss my favorite neighborhood, Harajuku, and especially Takeshita Dori, which is unlike any other alleyway! 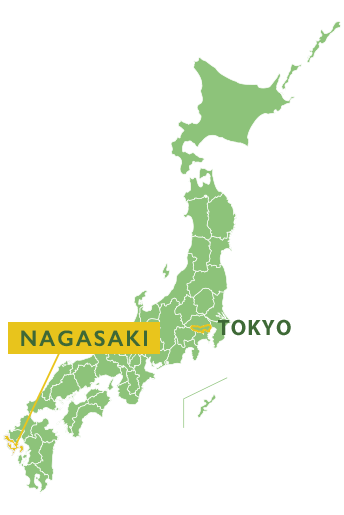 And Nagasaki is a very beautiful prefecture to discover in Japan! 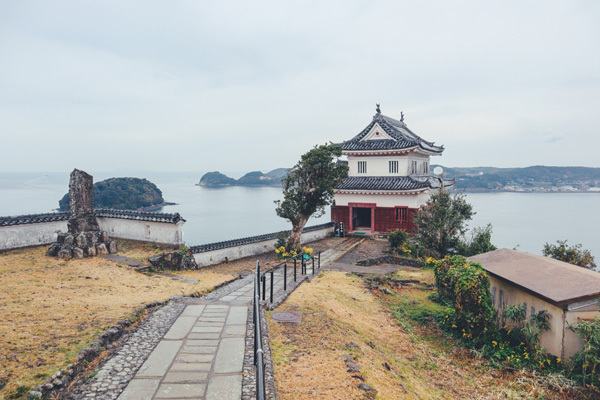 Nagasaki has many treasures to offer, and apart from its natural wealth, the different cities we visited are fascinating for their history and traditions. 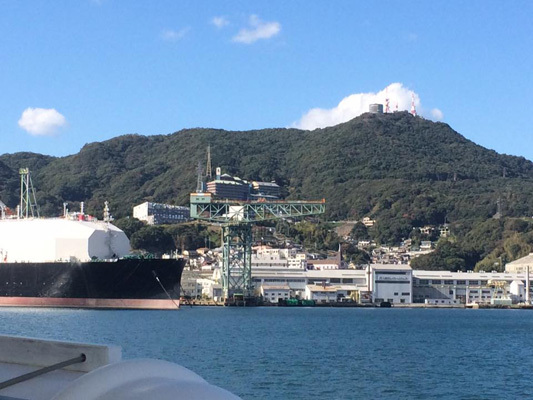 If you like discoveries away from the crowds and tourists, don't miss Nagasaki! 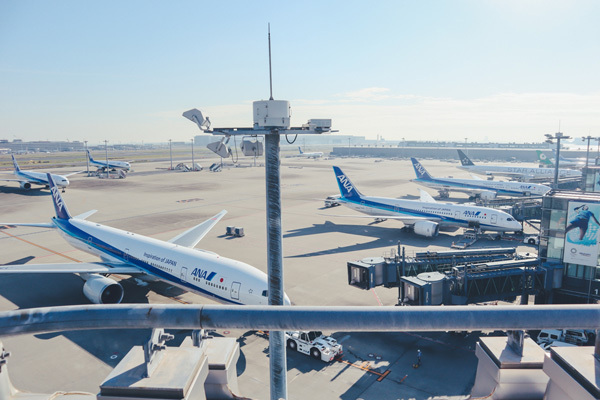 We have visited in Tokyo what I usually recommend to my friends or family who come to visit Tokyo. 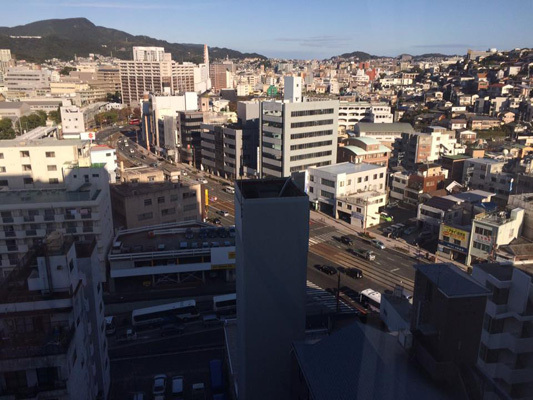 Nagasaki is a very nice city, full of interesting history and very nice places. I would definitely recommend to visit it !